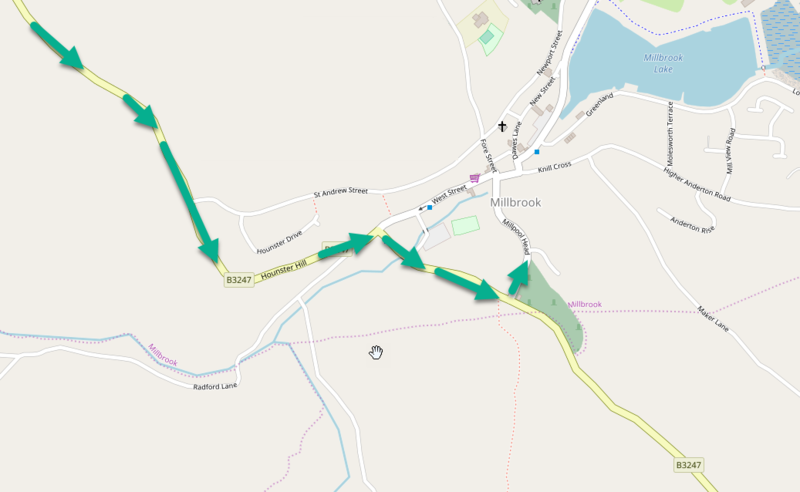 Please note that GPS and internet-based directions to Millbrook do not show the best route. Please see my recommended route to the right. Regular business hours are 9am-5.30pm Monday to Friday. Evenings by appointment. From Saltash, take the A38 towards Liskeard. From Liskeard, take the A38 towards Saltash. 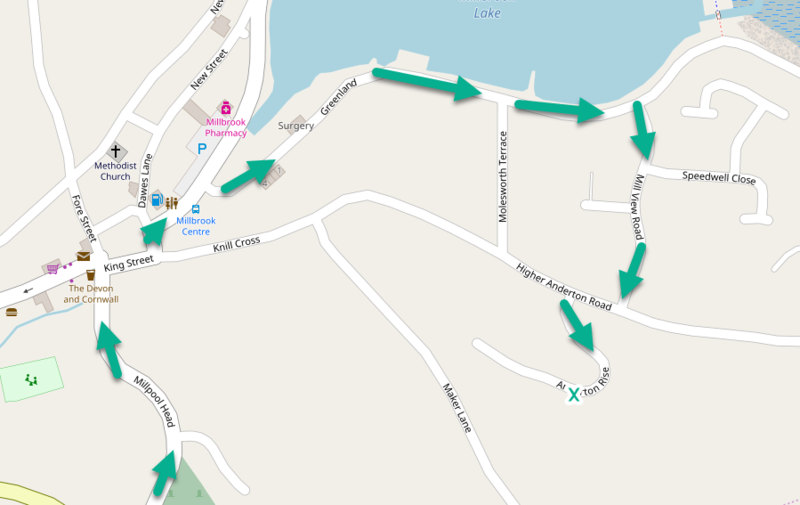 Either way, when you reach the roundabout at Trerulefoot, take the A374 (sign-posted Torpoint & Looe) towards Crafthole. About 4 miles down the road, you will turn right, continuing to follow the signs towards Millbrook (via Crafthole). Once in Crafthole, take the B3247 left towards Millbrook. Take the A374 towards Antony (do not follow the signs to St John). In Antony, turn left following the signs to Tregantle. At Tregantle junction, turn left onto the B347 towards Millbrook. Approaching Millbrook there is a long downhill section. Then the road narrows and then bends sharply to the right. 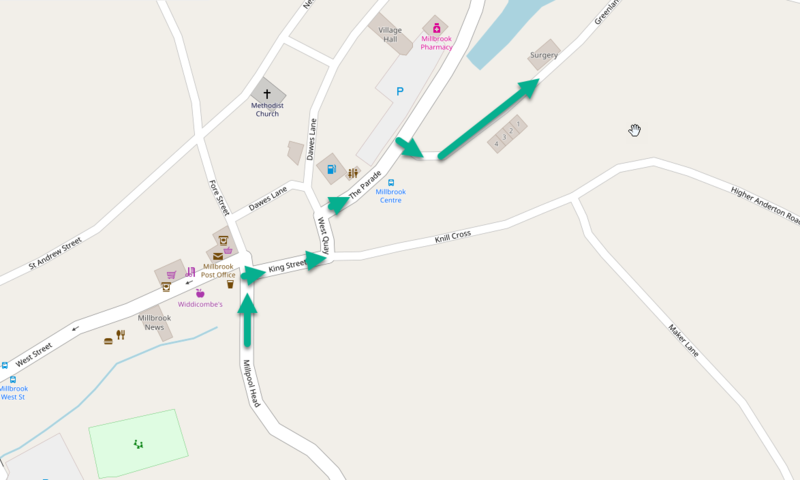 Continue on for a little way until you come to a turning to the left marked Millbrook Village Centre. Follow the road down into the village. It will twist right and left, but do not turn just yet. Just past the estate agents turn right towards Anderton/Cremyll. This will take you past the doctor's surgery, and then you will have Millbrook Lake on your left. If Millbrook Lake is on the right, you missed the turn. Take the second turning on the right up Mill View Road. At the top of Mill View Road turn right and then immediately left, into Anderton Rise. Drive up the hill for a little way round a sharp right hand bend and we are the second house on the left - Number 19. All map images © OpenStreetMap contributors.